Along the street of Forio which leads to the church of Soccorso, where there is a typical restaurat: Risrorante Pizzeria Epomeo. The cuisine is very refined with fishfood and land products. Of course the Neapolitan Pizza. 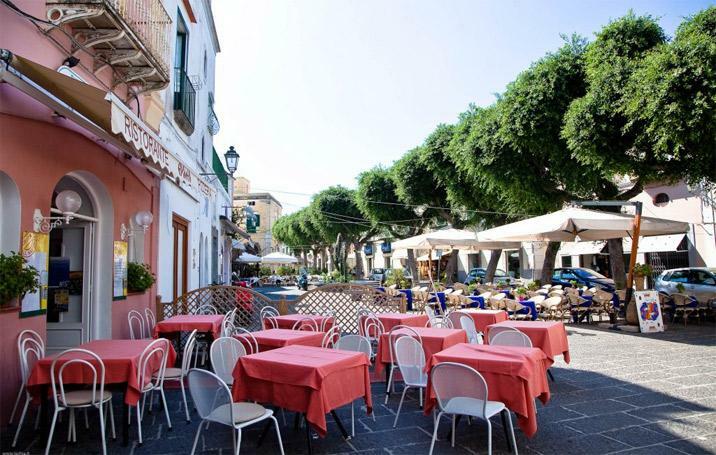 The real Neapolitan Pizza and the tipical dishes, specialities of fish and vegetable. Available also vegetarian cuisine. In town centre of Forio, at 20 m from the fountain.